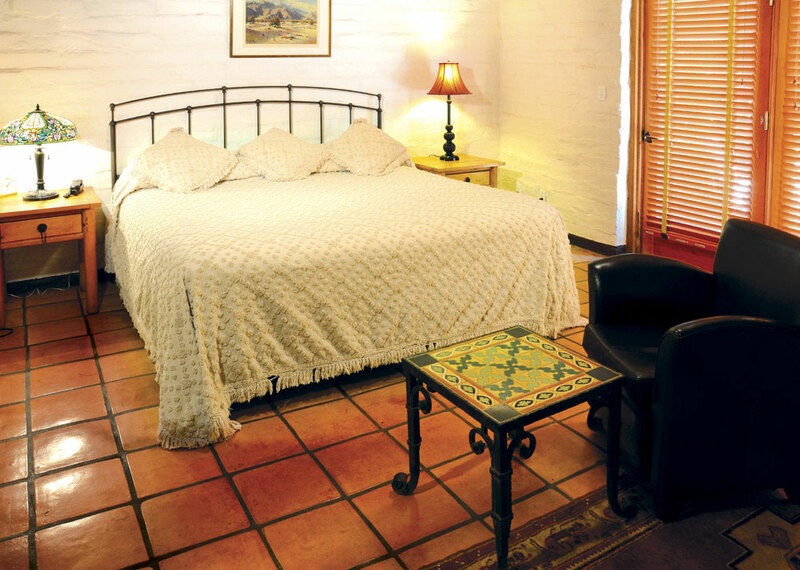 Enjoy the rustic simplicity of whitewashed adobe walls and handmade Saltillo tile floors in El Portal’s easy-access, handicap-accessible room, The Adobe. 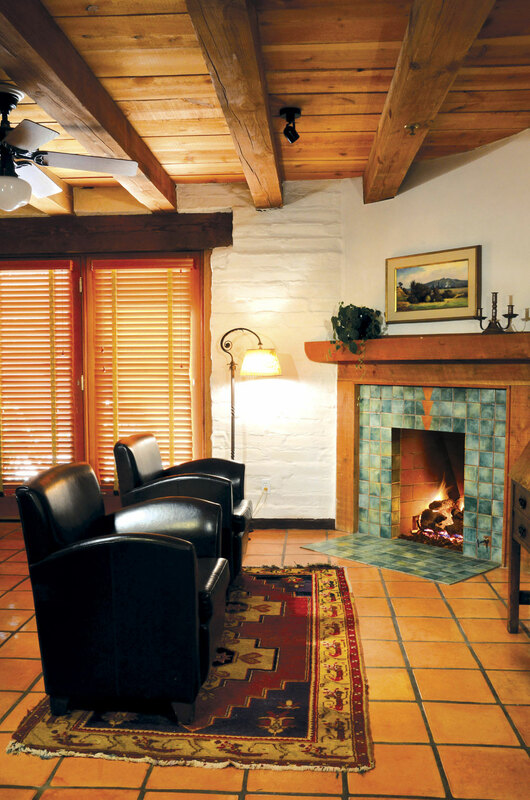 Roughhewn plank and beam ceilings add to the simple turn-of-the-century hacienda charm. Leather chairs flank a cozy tiled fireplace, while French doors lead to a private stone courtyard. 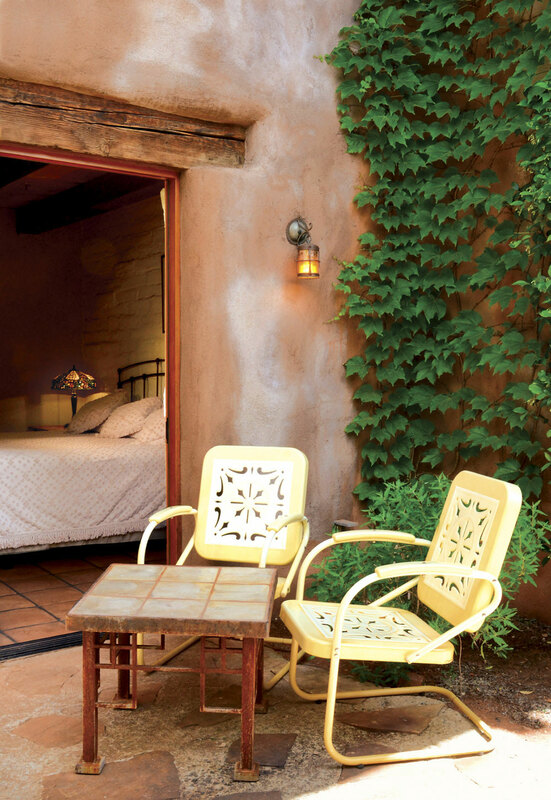 The comfy king sized bed features hand carved wooden posts and hand-wrought iron accents. Period lamps create soft lighting throughout. 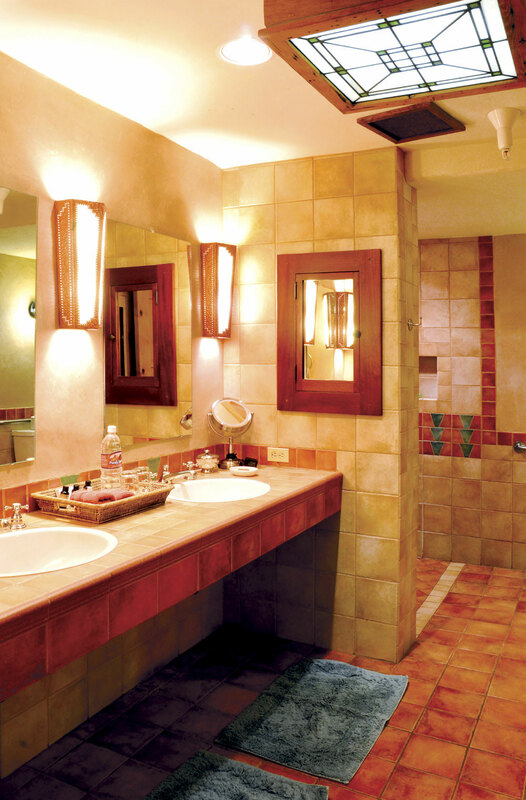 The bathroom features an open walk-in shower, stained glass accents and creative handmade tile work, flat screen TV. This is a pet friendly Sedona room for medium to large dogs.